Past & Present Basketball returns after debuting in 2011/12 with a similar configuration. This set comes on the heals of several other late NBA season releases including 2012/13 Select Basketball, 2012/13 Marquee Basketball, and 2012/13 Panini Preferred Basketball – so we’ll see if basketball collectors have any money left to collect this set once it goes live. The cards are made to look & feel like old cards, but the autograph and jersey cards will be what most collectors will be after. 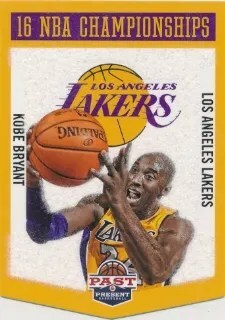 Last year the ‘variation’ cards were pretty standard but it obviously had a mix of past and present NBA players. Look for more information closer to release date. Panini previewed the product back on January 11, 2013 on their blog.